The date has been set (25th Feb aka tomorrow) and since I handed in my confirmation report and chapters I haven’t even read my own work since. Although I did nothing to prepare like I had imagined, I did agree to meet my supervisor before the viva. I landed in London yesterday and met him in the evening. His advice was to be prepared to answer confidently on the theoretical work within the submitted chapters, and to read up on sampling for the methodology. I’m spending the day alone promising myself I will at least re-read what I have sent. After all they would be reading it now and I risk them knowing it better than I do! I’m on my third coffee and more than half-way. I will have dinner with my family and read the rest tomorrow. My confirmation viva is not until 2pm. Posted on February 24, 2015 March 5, 2015 Categories ChronicleTags confirmation, phd, postgraduate, transfer, upgradeLeave a comment on Confirmation? I worked non-stop to produce my confirmation report by the deadline and indeed the three chapters attached to it (plus the first draft of my methodology chapter). It’s funny how we wait for validation and this very wait can make us stop doing any work. The day after I sent my document to the printers, I got on with jobs around the house that I had neglected. In fact the day I arrived home I was setting up new internet routers, calling the painter in to fix some patches, and had brought in an electrician to fit wall lights that until that day were an idea for the future. Within a week of being home, I felt good about being back and catching up with chores first, and then with family and friends. When I said I would be moving to London and focussing on nothing but the PhD, It meant I would leave my wife and kids behind (and all of what that means! ), delay and risk loosing a dream-job offer I had received (for a December start) and spend more money on tickets (yes again) and a temporary move… With all of this, I was genuinely worried I would do all of it and come back with nothing. On many levels, that would be worse than not going at all and quitting. The good news is today I am able to breathe the sigh of relief and report that what will from today be known as ‘The Surge’ has worked! There is no doubt that since I started this PhD back in 2012, I have changed the wiring of my brain from a business man to an academic researcher. There is also no doubt that from knowing very VERY little about how motivation works, I have become an expert in the area and familiar with all the major theories and thinkers in the field. I’ve also learned how to read and understand a paper without reading the acknowledgements twice and wondering what font they’re using. However all of this is (and wasn’t) enough to show progress in a PhD. I was told in no uncertain terms that I was on my way out of the programme, if I did not submit a confirmation (called transfer or upgrade in other universities) report plustwo chapters by mid January. I had written (and very poorly) about 9,000 words on motivation describing it very generally and textbook-like. This and the learning above was all I had to show for my time on the PhD. When I started working in the first week during The Surge, I had already deleted 5,000 of those words at the very least. Today I have completed a literature review on the topic of motivation which is a lot more critical than the first attempt back in summer 2014. Another literature review of organisational support, and another on previous studies in Kuwait as well as Kuwait’s culture. This, together with a methodology, brings my current word count to 40,000 words in four chapters. The thesis is effectively half-written if I can pass my confirmation at the end of February. All in all this is great news – because I will not be kicked off the course and my lifeline continues until my February meeting when I hope to get the nod for the next steps… I believe I have now caught up to where I should be at this stage… and all it took was 7 weeks of 16 hour days with only four days off (did some reading and editing on those). This really hasn’t been easy – but like I said before: it was never meant to be. I just spent five wonderful days catching up with my wife and kids, my family and my friends. I even found time to think, plan and do nothing. Cycling, meals out and zero reading and writing for almost a week. I flew back to London on the first day of the year, and today I make a start on my final two weeks of the big push that I started early November. It will not feel like I’ve achieved anything until I’ve passed the confirmation (or transfer) which will most likely be sometime in February/March. However, I will not be where I am today had I stayed in Kuwait and just hoped for things to get better with the hour here and there that I was spending on my PhD. First meeting of the new year with my supervisor(s) is this week – hope we all come back on the same page as that’s one frustration I could really do without. Two more weeks before I submit my report. It’s half ready at present and will be complete by then if I put in all the hours God has given me in the next fortnight. There is no explanation for what has happened in the last three or four days. I can only describe it as mission creep. I haven’t been able to do much on the literature review, nor for that matter on anything else. Apart from visiting family and friends for Christmas, I have done very little else. My drive is no longer there, not even for exercise or photography (exactly… something is not right!). I was laughing at myself when even the TV remained off as I sat reading the evening paper in the living room. I guess I need to see my wife and kids and have a ‘normal’ few days to recharge. I’ll still have to do some work in the evenings but I need to catch up with them. This has probably been the longest I’ve been away from them- matched only by the summer breaks which are altogether very different. Anyway – I will have five days back home to breathe a little; then back here on the first day of the new year to make a final push to the mid-January deadline. Well… that was a short-lived celebration I fear. I’m back to being confused again after a strangely short and misleading meeting a couple of days ago. It was followed by an email from my first supervisor asking why I’m not involving him. There is clearly a serious communication issue here. I can probably figure it out – but is it really my role to CSI the situation? In any case, I reassured my supervisor that I am doing nothing other than my PhD since the beginning of November, and that my bad communication is unintentional. For God’s sake I’m trying and failing to meet my second supervisor who in theory should be available at least once a week- why on earth would I not involve anyone? I suggested a joint meeting but with Christmas around the corner, it is not going to happen! It’s back to email with one and, Skype with the other; and back to me wondering if I’m on the right road. At least I’ve found my road so I’m no longer as lost as I was in a couple of months ago. My navigation skills have improved somewhat- so I will push, pull, force, kick and punch my way forward- and hope and pray for the best in the new year. Frustrating times again- and really missing my wife and children (and cat). A week after my second literature review was submitted, I met my second supervisor yesterday who seemed genuinely impressed, and moved the conversation forward to focusing the research questions and some ideas on methodology. What a feeling! From nothing at all, to something worth discussing over a few weeks. Indeed, what has happened in the last six weeks would have taken that in months if not more if I stayed in Kuwait! A few suggestions were made about how to direct the literature to the questions and we agreed to meet again a week later. I’m spending this week and next at the Surrey campus- it will be really good to connect and familiarise myself with my institution since I’m here longer than the usual 3-5 days. ‘Much improved’ but why the change? The feedback on the first chapter is positive (difference between the traditional supervisor and the one with a more modern approach – but that’s expected) and there is clear agreement that it’s a departure from the sad first attempt back in the summer. Of course I always knew it had nothing to do with ability, and I’m glad my supervisors finally know that too. Some amendments have been suggested and I will work on them soon, but that’s not what made today a very difficult day. The title of the second part of the literature review may suggest a departure from my original research. In many ways it isn’t a departure at all, it’s the autofocus kicking in as I zoom into my particular area. I only shared the work on Saturday (late night at that) and it’s only Tuesday today – so they haven’t yet read it. When I was asked why the change, I explained that the research took me there. In fact it’s the most normal thing to hear that the research focus shifts slightly over time. What I am perhaps not explaining well to them is that the last two months are equivalent to a much longer period, relative to the time I’ve spent studying the subject. It’s a frustrating day because although I feel ready to talk about my research questions and methodology, I need to wait for the second chapter to be read and for it will hopefully bring us all to the same page (no pun intended). I therefore need to get through this week… Patience is not something I associate with what feels like a race. I know research is more of a marathon than a sprint- but at this stage of my ‘marathon’, I have no option but to sprint to make my final time look somewhat reasonable. Posted on December 2, 2014 December 7, 2014 Categories Chronicle, FrustrationTags learning, literature, management, motivation, phd, postgraduate, research, reviewLeave a comment on ‘Much improved’ but why the change? Ok it’s just over a week and I am pleased to have just sent in a revised chapter to my supervisor for his feedback. That’s a proper rewrite of 13,000 words and some 200 references. Now working on the next chapter and hoping to start on my methodology as soon as possible. Waiting to Skype my supervisor as he’s still not back in London and will hopefully be even more clear about how to maximise the next few weeks in London. Special blessings and a lot of help have come this way from my amazing wife. None of this would be possible without her! It’s probably an unnecessary title but September ended up being slow after a whole month off in August. I am paying the price in October. Just when I’m starting to find my rhythm and the hours in the day, just as I restart communication with my supervisors in a face-to-face meeting on my way to the States. Unfortunately after the first Skype call since July and after talking to my wife about spending daily sessions of uninterrupted six-hour slots, I receive my annual report. Unsatisfactory again but very petty indeed. I agree with its content overall, and with the new set objective – but it’s a punch below the belt considering only last week I was sitting in the same room explaining everything and putting it all into context. Yes it has been 30 months… but with the extensive travel in job-one, switching to part time, and the demanding and somewhat draining job-two, coupled with health problems mid 2013 and a house build project earlier this year, I’ve actually only had a year or so on this research. It annoys me on many levels and demotivates me (so to speak). It also gives me the impression we have a serious breakdown of communication. Posted on October 17, 2014 Categories Chronicle, FrustrationTags phd, postgraduate, research, review, study, supervisor, surrey, university, working1 Comment on Breakdown? 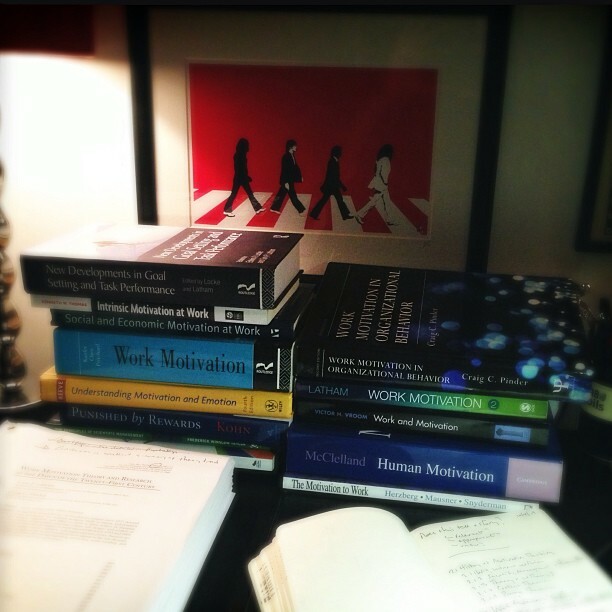 Very much aware of the irony, but I need to move on from my chapter on Motivation and start my next chapter. In fact, if I’m going to go back to work later this year (I can’t remain a full-time student for long in case that’s not yet clear) I have to start thinking about my methodology too. I will send whatever I’ve done on the chapter to my advisor and hope we can call it a day on this for now. I hope to start my next chapter – on performance management – and to resume my Skype calls to talk about the next stage. No more commutes, meetings, issues to deal with and strategy. Work on the house is completed apart from odd jobs here and there. My family are in London for the summer and I have a functioning study in the house. Coffee is my only excuse (fasting during the day during Ramadan) and even that is available during the evening. It’s time to drag this research back on track. In case I felt I wasn’t distracted enough with life, this is how our home looks like today. We are confined to one room and a dining table for a kitchen. 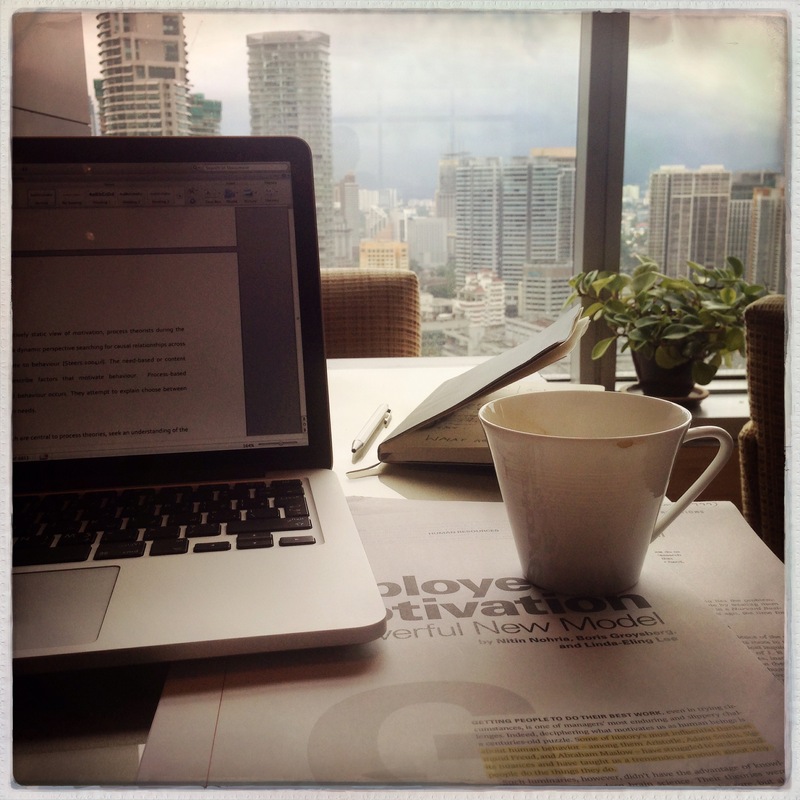 The plan was to study at my office at work but that’s about to change too (yes another post I think – just waiting for things to settle). Must find time. Must make time. Yes, it’s April. No, I haven’t submitted anything to my supervisors for review. I met my main supervisor last week who was very concerned. I managed to reassure him but I will need to meet some serious milestones to show (in action not just words) that I am serious. It is shocking how long I have taken on this chapter. I reached 16k and tidied up the content to produce a cleaner 14k version in February. Since then, very little has happened. There are obvious gaps, and I’m hopeful that by the end of this month I will have something decent to call a draft. The time I need for my research is just not there. With all the pressure I put on my time outside work, I am still only able to produce an hour or so a day and a Saturday. This is only possible with disappointed kids, family, friends: often all on the same day. I am at a cross-road (yes another one) and it looks like a difficult decision has to be made – or has been made. I feel the theoretical side of the research is something I can finally get my head around. The practical side was always clearer. To give up and let this slip out of my hands at this stage, and after some significant investments would be ludicrous. This is what my supervisor said when I sent him an honest update of my delay – yet again – in getting some serious writing done. I’m so behind, I only found time today to update this blog. January was hectic at work and, with the end-of-year appraisals for my team and bank-wide, it flew like superman shooting to the moon. The truth is: there is time. There is always time. It’s focus and, ironically, motivation, that are lacking. Moving the PhD office to work… didn’t work like I had planned. Interruptions I expected, but deliberately finding a distraction is something I simply need to stop. Even outside the office, I spend way too much time on social media. The latter I’m not sure I want to stop – it provides sanity and contact that I enjoy. I need to change the perception of my supervisor who was not reassured – despite my nice emails. His most recent reply included not only the title of this post, but also a line that said he found my progress ‘unsatisfactory’. I promised a chapter by the end of February (25th today and I’m just over the halfway mark); and another smaller chapter by the end of March. Life (mainly my work life) is getting in the way. I need to get my act together or this will simply not happen! I haven’t made any progress in the past five weeks. Nothing at all, not even any significant reading. If I stop and think how much I’m wasting on my university fees it may give me another kick – one that I probably need. It’s time for some drastic action: less socialising (what it actually means is virtually zero socialising – at least for a while) and, more so, to know when to stop at work. My work days seem to get longer and longer. My two hours in the early morning are not well-utilised from cafe to cafe; and I’m too drained to do anything after a long day at the office and an evening jog. Research time has been gobbled up by end-of-year appraisals and more new initiatives that seem to only add to my workload. A long business trip (the first in months – but still) took out a good chunk of late November and early December – and any free time during the trip that was supposed to be for my research ended up being spent on much-needed leisure. It’s not good enough! Guilt – in case it isn’t apparent – is eating away in chunks. My PhD now needs to muscle its way back into my life. Decision: I am moving my PhD desk to my office at work. This will give me two hours before ‘working hours’ and if I stay behind for two more hours I would get a total of four (pray, pray, pray). This should be an absolute minimum but it’s a start. On slow days (I am yet to have one!!) I could potentially take half an hour here or there on top – but I’m happy with the four if I can get them and would be very grateful. Having my notes, books, papers open and ready all day will hopefully add to the urgency and reduce the time it takes to set myself up every time I find a good spot at yet another cafe. I’m packing. Should be in my new home over the weekend or Sunday at the latest. Posted on December 11, 2013 December 11, 2013 Categories Chronicle, FrustrationTags literature, management, motivation, phd, postgraduate, research, student, study, surrey, university, working2 Comments on Moving! Another very busy period and very little time spent on PhD. I have written more here on this post and the one from May than I have on my thesis. I have done some more reading which, although sometimes feels like a waste of time, is very valuable. The new job started off much busier than I had anticipated. Restructuring my new department has taken a lot more time and effort than working hours provide. I am arriving home very tired and am not working on my research in the evening. With the job move I also discovered that I have excessively high blood pressure, so more exercise and less stress are both a must. I will need to find my rhythm – and soon – in order to get back into it. Life has a way of planning the unplanned and no matter how much we put in place to create a path, God has a better one that may not always be what we expect. As my first year ended with not much to show, another summer of job change was on the horizon. Holiday plans have been cancelled, and I start a new job mid-May. I’m taking the opportunity to meet friends in London over the weekend and I saw my supervisors earlier today to assure them I’m still around. It looks like the part-time route is the right one since I am simply unable to find the hours every day to justify calling my research full time. At this time I struggle to even call it part-time. I have resigned from my job with Emerson and will be joining a local bank next week. 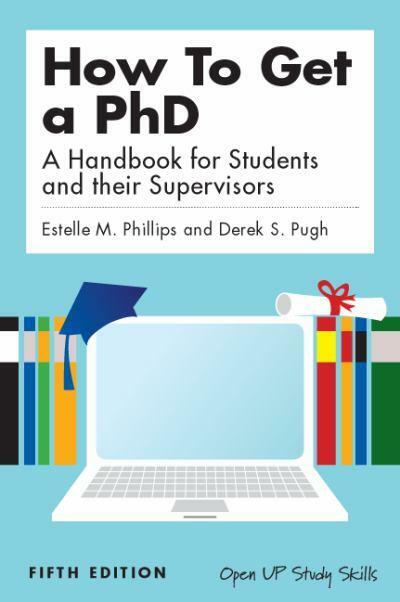 One of the first things I read – and may have mentioned on this blog – is not to get a job during your PhD. I am now on my second job during the first year! The good news is that my new job will be in the field of Human Resources, which matches my research. There is, thank God, no travel involved – or very little. Compared to today this will hopefully make a significant contribution to my time pool. I have agreed a new timeline with my supervisors for my literature review to be in by end of July (a draft version before if possible), the second half of the literature review (on the subject of Performance Management) by December, and my methodology chapter by June next year. The couple of weeks before Christmas, then my kids were home for the holidays, followed by a very tough period at work where three major projects have come alive together, have made the end of 2012 a very challenging time. Just when I was connecting the dots and putting in place a map to build my knowledge onto, I am physically and mentally too busy to read. The first two weeks of January have not been any better – in fact they’ve been worse. I’m writing this in Dubai having spent most of the day responding to emails after a long day of presentations in nearby Sharjah. I am drained and am surprised I have the energy to write this post (recovering from a cold too). It must be the guilt of not reading for three weeks – and indeed not having any conference call contact with my supervisors. I must (and will) take back control very soon. I need to re-start the weekly calls and more importantly go back to my reading (and some writing). I will also book some time away from the office and away from family and friends… a PhD holiday of 100% focus on nothing other than my research… It’s time to sleep at the university library. I will be finalising my registration tomorrow and getting my library card. 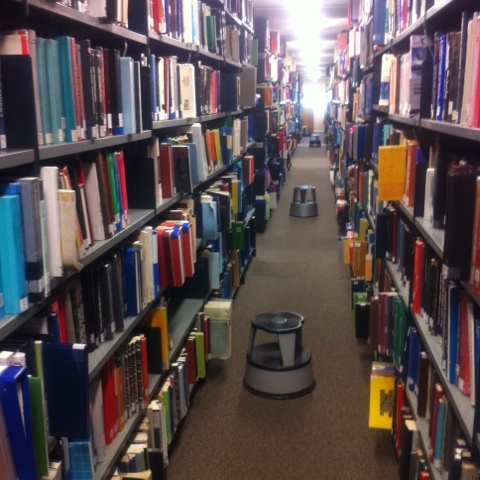 I am very excited to be able to work in an area where I am surrounded by thousands of books. Two big events this week: Meeting my supervisors tomorrow, and having my induction onto the PhD programme on Thursday. When I was informed about my induction, the email introduced Prof Mark Saunders as the Director of Postgraduate. The name rang a bell but I only scratched my head when I read his research area of Research Methods. The book I recommended last October when I was writing my proposal, has been written by him! Small small world. With the Easter holidays keeping the university quiet until next week, I have not yet actually started. I have however registered and am in the process of initiating my IT account in order to have a university email and access to the online resources. The next step is to join the library and get my ID card which will provide access to all sorts of doors and equipment on campus. In a couple of weeks, I will have a formal induction to the PhD programme. I am also looking forward to meeting my supervisors. I hope we can start a special relationship where I ask just the right number of questions and get just over the right amount in answers. 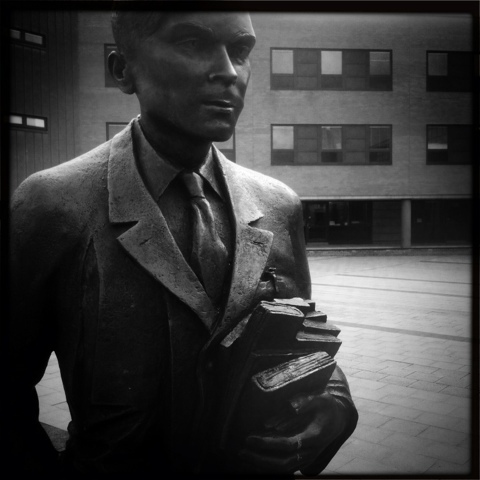 I have left this post as late as I could to avoid jinxing any chances of getting funding for my three years of study. Unfortunately I have not been able to get sponsorship for my PhD from Kuwait and will therefore do it on my own expense. It will not be easy – nor cheap. I will, God willing, register tomorrow and pay the first installment. My wife and I have discussed this and she’s more supportive of it than any wife should be! The best way for me to reduce the ‘shock’ of using up our family savings is the analogy of a midlife crisis and pretending I bought a sports car… Just like that. At least this one will offer a little more return. Before I completed my research proposal, I contacted Surrey in September and mentioned my interest in the subject of Performance Management and wrote a paragraph describing my research idea. I received a reply that same day and was promised another from the Professor specialized in the field. The following day I received an email saying the idea and subject had merit and that I should submit a formal research proposal for review. When I completed my proposal in October, I shared it with many institutions and received very mixed feedback. Mostly positive with a common theme requesting more of a theoretical approach to add to the ‘existing body of knowledge’. This was fair feedback, but the main difficulty was the availability of supervision in my chosen area of research, not the shortcoming of the proposal. Surrey remained the only interested school so I put together my application and submitted it online before the end-of-October deadline. I also applied to King’s College London, who soon after advised me that they didn’t have a supervisor available. Imperial College London, where I did my Masters, told me the same before I even applied (they remained as my back up for September 2012 if needed). My only chance was with Surrey, who by December had reviewed my application and proposal in detail and had asked me to make minor revisions. I worked day and night for a week and sent in version two with the suggested changes, a few days before Christmas. This delayed the processing of my application and, thanks to the Christmas and New Year break, I was unable to start in January. I visited the campus and met members of the faculty mid December. I had a chance to look around and to visit the library, who furnished me with a visitor pass allowing me to use their facilities. I felt welcomed before my application was finalized. It was looking good and the revised proposal seemed to capture what was required to proceed. The next few weeks were nothing but an agonizing wait. It’s hard to believe we’re already in March and I am over the moon this week as I have received confirmation from Surrey of my place on their PhD programme to start in April. Next month, I am officially a student again. Without going into details, I don’t think this is supposed to be a learning process! Most feedback I received on my proposal has suggested (and almost demanded) that I complete the work before I have even started! Interesting summary of what NOT to do. Came across this book today in an old issue of The Guardian (from 2002). Below is the ‘action summary’ copied from the book. A strange anti-climax hit me last week when I completed my proposal. It’s had mixed responses and I’m still forwarding it to more institutions to get feedback. I will know soon whether or not it needs a rewrite. Time is getting tight so I hope to get through the applications before the end of this week. 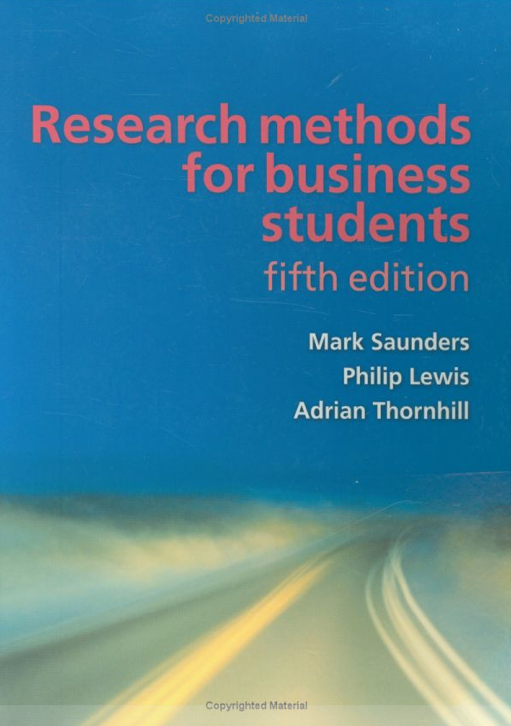 I found this book from my MBA days and am using it to describe my Methodology in the Proposal. I haven’t seen many other books about the subject so I can’t benchmark it, but I found this useful and easy to follow. I also think the structure is suitable for referring to separate sections as and when they’re needed. The one I have is the 3rd edition. I will probably borrow the 5th edition from a library to see the updates. It’s not cheap! Amazon link here. After weeks of ‘research’ I was struggling to understand the link of management systems to theory. I was to write a Theoretical Framework section in my proposal. Why? What’s the point? What’s that got to do with the real world? Questions I usually fired at Consultants over the past many years. Yesterday, at 9:19 in the morning while having a late breakfast (it was a weekend before you judge) my wife explained it all to me. It wasn’t the first time she explained it, but it was the first time I listened. I have been wearing the practitioner’s hat, or for the engineer in me the bloody hard hat, and have forgotten the role academics play in looking at the theoretical side of our world. Reflecting and describing patterns and causes and solutions after painstakingly studying their surroundings. I admire it, but I highly doubt I actually understand it. It’s going to be a fun journey. The dreaded proposal document is almost complete. Applications begin this week. Proposal? I’m down on both knees! The Literature Review is more of a challenge than I had anticipated. I’ve never read a book in one day and this week I’ve done it twice! Not sure whether to be impressed or concerned. My amazing wife is helping me with this part. I need my proposal finalized soon so I can start taking control of my life again and actually apply for a place. Posted on October 6, 2011 October 10, 2011 Categories ChronicleTags literature, phd, proposal, research, reviewLeave a comment on Proposal? I’m down on both knees! The list of options is suddenly shorter… and it misses out a big chunk of the better universities in the UK – including Imperial! However in order to be sure I can be employed by universities in Kuwait, I would have to pick an AASCB approved university. Posted on September 28, 2011 October 16, 2011 Categories ChronicleTags application, applying, phd, proposal, research, universityLeave a comment on Seriously… Where? I’m maintaining the theme of career progression, but moving it from the teleworking world to Kuwait’s public sector. This will do two things: the first is to give me easier access; and the second is the use of the research in Kuwait – in case it provides an interesting result. Access to data would potentially make or break a research project. I’ve enjoyed reading about teleworking, but with limited number of companies here (if any) it will have to be organizations in the USA and some in the UK. This limitation, and the little use of the study for us in Kuwait has made me look again at the subject area. Posted on September 25, 2011 October 16, 2011 Categories ChronicleTags proposal, research, universityLeave a comment on Does You Does? Ok I’ve been reading quite a bit about this subject. It’s called teleworking, and whilst we don’t have anything like it in this part of the world, it’s a growing phenomenun in the West. I was surprised to see how many companies have offered more flexibility in the last few years – both in order to make savings (and keep jobs) and to offer a better work-life-balance to employees. Still wondering how to bring this subject into a PhD… It has to be within the area of career progression and maintaining contact with virtual teams. Posted on September 24, 2011 October 16, 2011 Categories ChronicleTags phd, proposal, remotely, research, teleworking, workingLeave a comment on It’s Called Teleworking! This is an exciting time, my wife keeps reminding me. I’m thinking about topics! BAsed on my experience, I’ve been thinking about the possibility about this topic. People who work away from their head offices. I’ve had an interesting mix in my work: both managing representatives across the Middle East and reporting back to head offices in France and USA. This could be very interesting. The angle may be closer to home than I would like… I’m thinking about motivation and career progression among people who have are in similar positions… The notion of ‘Out of sight, out of mind’. Management, Marketing and Project Management are all the fields I would love to explore. When it comes to teaching in the future and indeed further research, Marketing wins hands down. The interest in all these areas is more practical than academic. Fifteen years in industry and in different jobs and different countries offer a nice collection of war stories to share with students. A few years ago, we packed our London house, rented it out, moved to a short-let apartment near Kew Bridge and I typed my letter of resignation. I had a job offer from Kuwait University, pending a place in a university, and I was ready to move to Washington DC. I was looking at when to go, only to realize that the ‘approved’ list of institutions by KU had changed. Our belongings were in storage by then; Our son, Yousef, was just over a year old and our daughter was beginning her journey to join us in this world. Life had other plans for us, and when Noor was three months old, we were back in Kuwait. Fast forward to last night. Work is great but some challenges at management level are leaving me frustrated. It was acceptable until last week when actions spoke louder than words and my actions had to be equal and opposite! I made it clear that what happened was unfair and unacceptable. It wasnt enough. I needed to change jobs before I loose my fantastic relationships with so many great peoples in a wonderful organization. It was simply not worth it over one person! 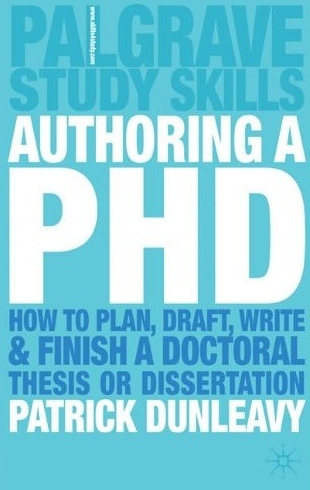 So in considering options, I mentioned (almost jokingly) the idea of a PhD. We had a ‘what if’ conversation and I started pacing up and down our living room as my wife and I discussed ideas on how to bring me back onto the academic road. Is this really an option? Five hours later, I was still pacing!